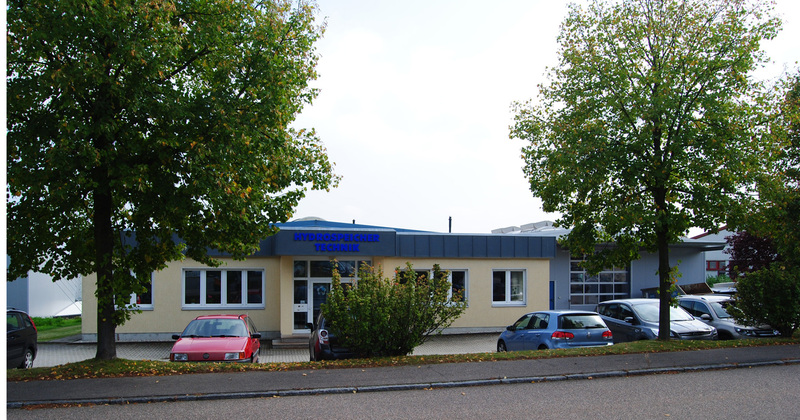 HST Hydrospeichertechnik was founded in 1994. Experienced engineers and specialists are available to help customers solve tasks involving the use of accumulator technology. It is our aim to provide customers with series products in the shortest possible time or provide special solutions, always with the aim of enhancing the value of goods. As far as this is concerned, we can look back on more than 40 years of experience in designing and manufacturing hydraulic accumulators. Do you have any questions about hydraulic accumulators? Get in touch with us! Together we will find the most economical solution for you. Hydraulik accumulators are hydrostatic devices which can store definite energy and transmit it to the hydraulic system on demand. Therefore they are also called hydraulic accumulators. Fluids have only a very little compressibility, however, gases have a good compressibility. This difference is based on the working principle of all gasloaded hydraulic accumulators. When charging a definite gas volume under pressure with a higher fluid pressure, the gas volume is reduced at rising pressure, and the gas and fluid pressure rise. When the fluid pressure drops, the fluid is forced back in to the respective circuit because of the effort of the gas to extend as long as the pressure is compensated again.